“Middle-class parents are raising a generation of ‘spoilt brats’ who are so cosseted that they struggle to cope in the workplace, psychologists warned last week. Experts believe a rise in child-centered parenting is to blame. Mothers and fathers are said to be lavishing expensive clothes and gadgets on their children both to keep up with the Jones’s and ease their guilt at working long hours. “But too much pampering is making many children bossy, demanding and nasty to classmates, experts warn. Meanwhile, Prof Cary Cooper, Lancaster University, warned that cosseted home lives can leave children ill-equipped for life in the adult world. ‘Some young people have been so pampered they can’t stick to a job when things get tough’ Cooper said. 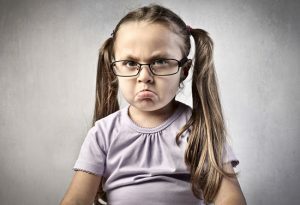 “Michele Elliott, director of Kidscape, highlighted the emergence of middle class ‘brat bullies’. “Before, you could say bullies often came from dysfunctional families, were miserable themselves and were acting out their anger on the people around them. But some of them now come from what you might call ‘good homes’, they are well cared for and their parents love them. The problem is these children increasingly think they have an entitlement to everything and are almost like royalty ‘move out of the way, here comes the prince/ess” she said. Bullying of all kinds is becoming increasingly widespread and many parents feel that schools are not taking adequate action. Commitment is required, schools and parents need to work together, plans are required for both school and home,and monitoring is needed to ensure the effectiveness of the plans. How can I help my child to address bullying? To learn more about how to address bullying, check out our Life Talk and Tug-of-Life book series’ over here.